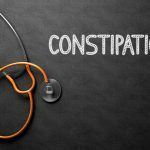 You have certainly been there when your body has decided to swell with abdominal gas that is uncomfortable, embarrassing, and downright annoying. Your stomach distends and flatulence cannot be avoided making you run to the nearest rest room or private location just to gain relief away from judging ears and nostrils alike. Then, of course, there is the problem of fitting into your clothes when your stomach feels two sizes larger making it that much more difficulty to manage. These 12 natural ways to stop excess gas may be able to relieve many symptoms associated with this condition and a lot easier than you think. All it takes is a few adjustments, stopping and thinking about how your body may react to certain foods and a simple protocol that, in time, could become as normal as brushing your teeth. Don’t suffer unnecessarily, attached to over-the-counter pharmaceutical gas remedies that simply tamp down symptoms but never actually fix the problem. 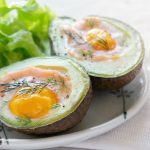 Using these natural techniques you will finally be able to stop excess gas and fit into those skinny jeans, dress pants or activity wear without holding your breath or breaking wind. Eating any food you like can be a privilege and a problem all at once. Improper food combining has been linked to excessive bloating and foul gas. Before you grab whatever you like, simply because you are hungry, think about how certain combinations may compromise your gastrointestinal tract. It is believed that if foods are not combined properly, partial digestion may occur. 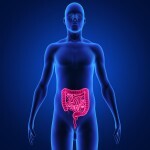 Some believe food will sit for a while, rotting and fermenting in your gut. As a result this may leave you struggling with bloating, gas, indigestion, constipation or diarrhea. So, to reduce these symptoms and the wasted energy that goes into dealing with them, try food combining for a while. If it works keep it on your plate, literally. If you do present with bloating, gas and overall gastrointestinal discomfort from food activated charcoal may help. Keep in mind that GI pain can be due to many things so be sure to check with your doctor before applying alternative remedies. 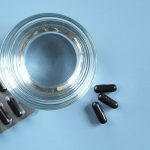 Activated charcoal has been used in many ancient healing practices but is also available at almost any hospital for treating specific GI distress or drug overdose. It is important to note that drinking plenty of water (about two 8oz glasses with each capsule dose) is essential for optimal effectiveness. Consuming certain herbs before, during or after a meal may prove helpful in reducing excess gas. These have carminative (flatulence relief) properties according to Angela Lemond, RDN and a spokeswoman for the Academy of Nutrition and Dietetics. Ginger comes in as one of the top studied herbs for gas relief which the European Journal of Gastroenterology and Hepatology cites as assisting digestion and gastric emptying before gas formation can occur. Don’t unnecessarily suffer with gas and bloating when you can simply apply these 12 natural ways top stop excess gas. Remember to think twice before choosing gaseous foods such as legumes, dairy, artificial sweeteners, and cruciferous vegetables and always eat clean, organic food whenever possible.